Flash Point Communications, LLC: Bill McCandless Ford Announces the Much Anticipated 2013 "Year End Giveaway" Winner! Bill McCandless Ford Announces the Much Anticipated 2013 "Year End Giveaway" Winner! Costa Mesa, CA – March 12, 2014 – Bill McCandless Ford recently participated in the Ford “Year End Giveaway” digital media promotion in partnership with Flash Point Communications and Ford Motor Company, and the support of over 1,400 participating Dealers. Flash Point developed the interactive campaign that integrated social interactions and Dealership participation while functioning as a Social/Lead generator, in partnership with Ford Motor Company. People nationwide entered the sweepstakes by choosing a vehicle, watching a short video, registering, and writing a shout-out on Facebook ("Tagging" their friends). This enticed entrants’ friends to participate via other Social Media platforms like Twitter and Instagram on both the desktop and the mobile version of the site. The program also offered people the chance to watch 10 videos for additional entries (10) into the promotion. Not only was the "Year End Giveaway" cross-promoted and accessible on different Social Media platforms, it changed Creative updates to align with spike offers during the "Black Friday" and “Dream Big” periods. The promotion successfully garnered 104,282 Hand-raisers and drove incremental sales during the 43-day offer. 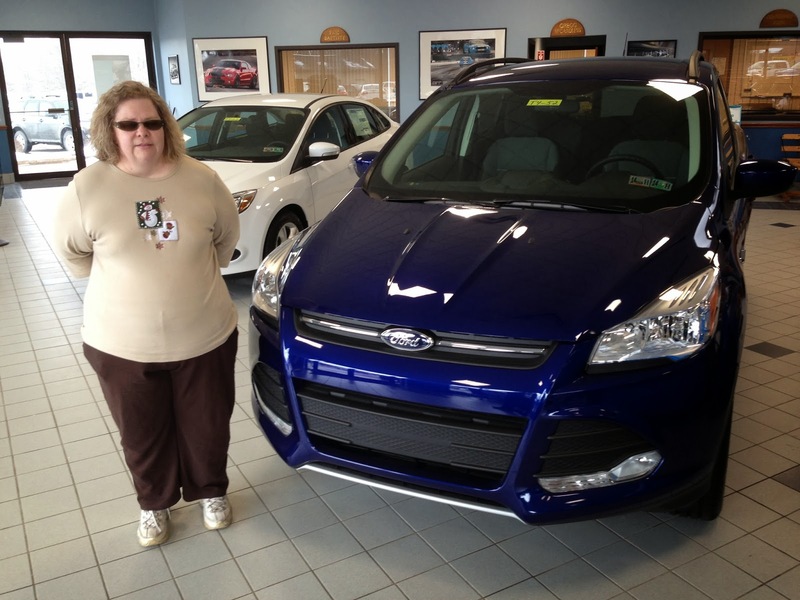 With “10 Vehicles, 10 Videos, and 10 Chances to win” a new Ford vehicle, the promotion not only produced successful performance results but one lucky winner, Connie H. from Mercer, PA. She was randomly selected as the winner and was awarded $30,000 towards her choice of a 2014 Ford Mustang, Focus, Fiesta, Fusion, Escape, Taurus, Explorer; as well as a 2013 C-MAX Hybrid or 2013 F-150! Connie decided to put her $30,000 voucher towards a brand new 2014 Ford Escape, which has class-exclusive available foot-activated liftgate (*Class is Small Utilities). The vehicle was awarded to Connie by Bill McCandless Ford. Bill McCandless Ford, along with the other 1,400+ Ford dealers, will continue to participate in other promotions like the "Year End Giveaway" throughout 2014. "Winning still seems like a dream. My experience has been great... I wanted to become an owner of a Ford vehicle because I never had one, I have heard good things about several different Ford vehicles and will be excited to have an American made vehicle of my own.."
For over fourteen years, Flash Point Communications has been recognized as a leading innovator in the digital media marketplace. With an emphasis on social media and specialization in automotive advertising groups, the firm has established itself as an industry specialist serving the globe’s most respected automotive brands including Ford, GM, Chrysler, Toyota, Cadillac, Lexus and Mazda. Based in Costa Mesa, California, Flash Point’s 25 employees service clients from four offices nationwide. For more information, please visit www.flashpointcommunications.com or check out or Facebook page at www.facebook.com/flashpointcommunications.